Measure the thickness of your paint with ease! 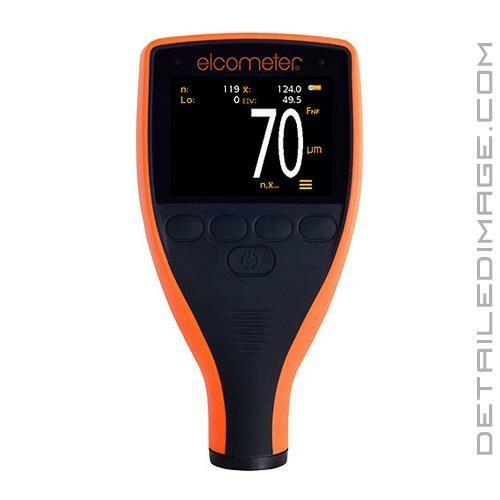 The Elcometer 311 Automotive Paint Meter allows you to measure paint thickness and provide an indication of the overall condition of your paintwork! When you are looking at your paint, you can always easily see swirls, oxidation and other ugly imperfections that take away from the overall look of the vehicle. You hate the look and you break out your polisher, pads, and compound, ready to get to work and bring the paint back to life. However, do you really know how thick the clear coat on that area is? Do you know if the car has been repainted, repaired, corrected multiple times, and how much clear coat is left? The naked eye can not give you these measurements, but the Elcometer 311 Automotive Paint Meter can! 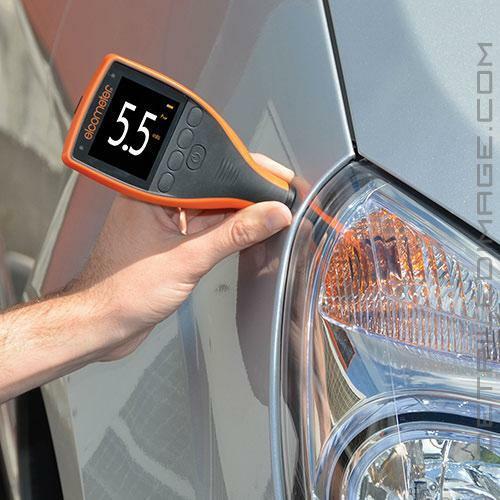 This gauge provides you with a non-destructive paint thickness measurements on aluminum and steel automotive panels. The integral FNF probe instantly recognizes the substrate material allowing fast and accurate paint thickness measurement of these steel and aluminum body panels. The unique Elcometer Index Value provides inspectors with a single number which illustrates the vehicle's overall paint condition and establishes if any previous paintwork has been undertaken. The higher the Elcometer Index Value the more severe the previous paintwork condition. Below you will find some specifics on this unit, which comes in two great models! Gauge Dimensions: 5.55" x 2.87" x 1.46"
Model T FNF: In addition to the paint thickness, this model displays the key statistical values used to assess the overall condition of the paintwork; number of readings (n), average coating thickness (x), the lowest paint thickness (Lo) and the Elcometer Index Value (EIV). It is also compatible with ElcoMaster software and ElcoMaster Mobile App, individual paint thickness readings can be transferred via USB or Bluetooth to PC or a mobile device for analysis and instant report generation.